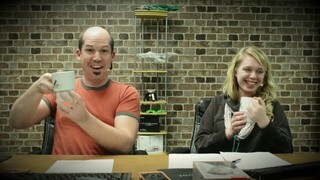 Thankfully, the new microphones (since Sasha's died) arrived same day so we had the extra mic. Sasha unboxed it and we set out to do the show! This was cool! 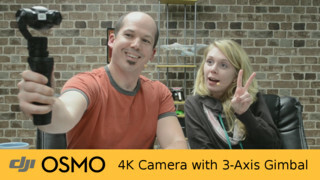 We fired up the incredible DJI Osmo 4K Video Camera with 3-Axis Gimbal! This thing is cool! But don't take my word for it... watch the show! DJI has flipped the traditional "camcorder" and "actioncam" paradigm on their heads and developed a handheld 4K camera with a built-in 3-Axis gimbal system for silky-smooth video even without a tripod. I shot my son's 6th birthday party with it, and you'd swear I have a dolly in the house with the smooth fly-ins and dramatic pull-out shots! Sasha covered the news desk like a boss, and Erika and I took a look at your comments and questions. 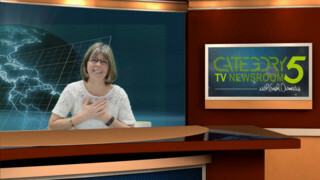 Thanks to all our Patrons and donors and those shopping with our Partner links for supporting Category5 TV! With the unexpected need to replace a microphone, add storage, and replace the SATA controllers in our main storage server all in one week, your support makes more of a difference than you know. We're also working on revamping the studio set, which costs money, but will help us bring you an even better tech show with more overhead shots and a lot more space for the hosts to interact. Thanks for helping us make it all possible.